“I got the music in me.” The year before I was born, Buddy Holly died when his plane crashed in a field not far from my family’s home. Born and raised in Mason City, Iowa—portrayed as River City in Meredith Willson’s “The Music Man”—I always took note of music. My great-grandfather was an amateur Irish fiddler who played at wakes and weddings, in parlors and barns. I started buying records while in elementary school, but even earlier, I was a pop music fan. My family’s lore includes a tale about the time when a little older than a toddler, I asked to stay in the car so I could listen to the end of “Georgie Girl” on the radio. My mother agreed, but warned me not to touch anything. Evidently, I put the car into gear, and my mom’s car rolled down our steep driveway, toward the street. Fortunately, my big brother Danny had left his big metal truck out, and the toy truck stopped the car from crashing into the street. Each summer, Band Festival Day celebrated my small town’s big connection to the Music Man with parades of marching bands. The Presentation Sisters at my grade school emphasized musical education, too. They allowed us to sing songs of the times from Jesus Christ Superstar or John Denver. They taught us a long list of songs celebrating our Irish heritage. I sang in school choir and a small choir that sang at funerals in our parish. But even then, I felt more comfortable in the audience than performing on stage or from a choir loft in our church. I never had music lessons and learned only the basics of reading music. I was a fan, and something of a fanatic, but I was on the receiving end of the musical spectrum. As a teenager, I started attending concerts. One of my first concert venues was the Surf Ballroom, the Clear Lake, Iowa, venue Buddy Holly, Ritchie Valens, and J.P. “The Big Bopper” Richardson played the night of their deadly plane crash. I instinctively loved the music scene as well as the live music. I loved some musicians, too. I invested in the best stereo equipment I could afford, and played my music relentlessly. Just ask any of my college roommates. My adulthood moved from vinyl records to 8-track tapes to cassettes to Walkmans to CDs to iPods to iTunes. I’ve kept music close along the way. Now a middle-aged adult, I find myself writing regularly about music. A longtime freelancer for newspapers and magazines, I’ve interviewed a number of musicians, published a number of features on musical festivals; in addition to several multiple choice musical quizzes. 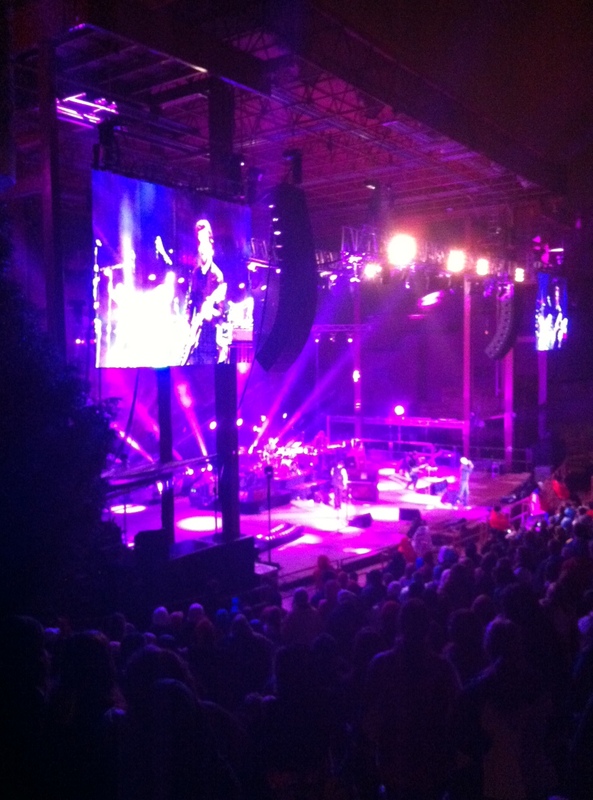 As a member of The Denver Post’s heyreverb.com staff, I’ve covered dozens of concerts ranging from Jackson Browne to Maroon 5 to Denver Brass to Train to The Fray to Los Lobos to Trace Adkins to Sheryl Crow to Carrie Underwood. Reporting on rock and other genres is a sweet note. Some of the happiest times of my life have been at concerts where music transported me above and beyond the cares of my everyday life and into another realm of harmony and good vibrations, dancing or singing or just listening my cares away. I’ve always respected musicians as magicians, of sort, with instruments as their magical wands. Music continues to sustain me. As I’ve grown older, and as I’ve reported on music, I’ve learned a lot more about different genres: Classical, reggae, roots rock, Blues, and more. I still obsess about songs, playing tracks over and over until somehow I’ve absorbed every note, every lick, every lyric. One of my goals in life was to learn to play the piano, but at this stage, I’m willing to admit it’s a goal I may never accomplish. I’ll settle, though, for playing out my musical interests on my computer keyboard: Will write for music. Colleen Smith’s gift book “Laid-Back Skier” celebrates alpine skiing and life. Colleen Smith’s first novel, “Glass Halo”— a finalist for the 2010 Santa Fe Literary Prize — is available in hardcover or e-book. • Become a friend on Facebook, or follow FridayPublisher on Twitter.